Freight Rates have Permanently Reduced! To encourage you to order more frequently, we have reduced our freight rates within the North Island to just $15.00. Your order will still receive the same great care and attention as it is hand picked and packed and shipped to you on an overnight service. That is just $15 per order, delivered in the North Island, no matter how many boxes we send. South Island freight is $28.00 per order on an overnight service. Every order is packed by hand with large, reusable gel ice-packs to ensure your package travels safely with the least possible temperature fluctuation. 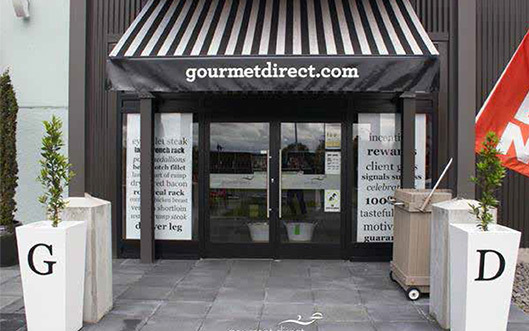 We deliver Nationwide within New Zealand 5 days a week. We regret that owing to MPI regulations, we are unable to send meat products overseas. For a range of fabulous gifts to send Worldwide please visit our www.atasteofnz.co.nz for plenty of New Zealand gifts to send to corporate colleagues and loved ones overseas. For all customers we prefer to receive your order by 3pm two days before you would like delivery. You can expect your delivery from early morning and up to 5pm. At off-peak times of the year, we can often deliver with less than 24 hours notice. Delivery five days a week nationwide Tuesday through Saturday. NB: We cannot compensate you for rural deliveries which go astray! If you insist on a rural delivery, we comply at the owner’s risk! If you’re a Hawkes Bay local or you’re visiting Hawkes Bay on holiday, drop in to our Napier outlet store and stock up. Our full range of Beef, Lamb, Venison, Rose Veal, Pork, Poultry and more is there for you to view 7 days a week. We also offer free delivery across Hawkes Bay. Get your meat delivered. We will advise you via email or phone of your individual tracking number once your order has been dispatched. If you are at all worried about your delivery, please either phone us on 0800 737 800 or call the Courier Post Track’n’trace service on 0800 268 743 and follow the instructions to speak to an operator. Have your Tracking Number handy. Our frozen products are snap frozen to swiftly seal in the natural properties of the meat guaranteeing your product defrosts in mint condition. Slow freezing in your domestic freezer can dry and stress meat by comparison. Our products are frozen freshly processed so as to minimise bacteria development. What Does the Use by Date Mean on frozen product? If you are travelling with your order, why not ask us to freeze it down professionally for you at no extra cost.